Make sure you have a strap! 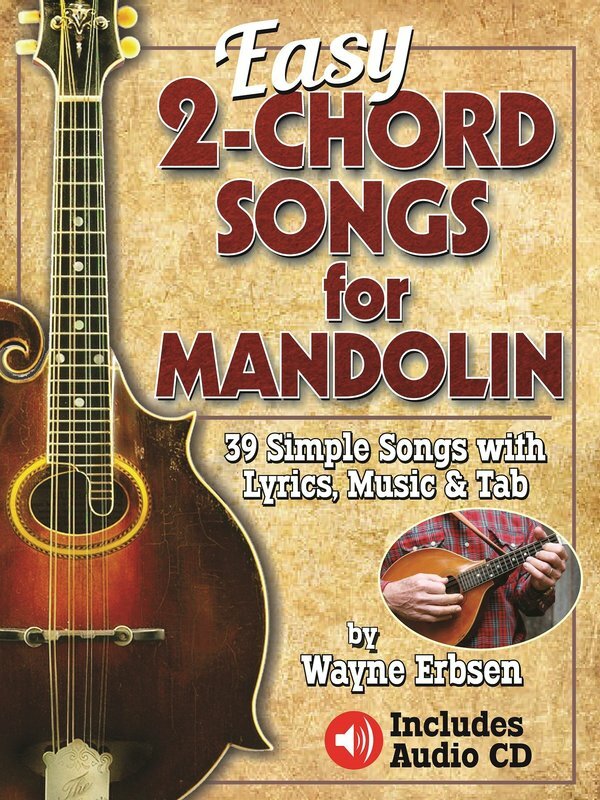 The mandolin should be snug against your chest, so that if you release your hands it remains in place, and you can easily return your hands to the place you want them! Learning to play is repetition and practice. You can play it sitting down, but someone told me that learning to play standing up helped him to no end when he later joined a group that played in front of people. It fosters good posture and habits. Of course you can sit down, but try to stand up when you practice as well, so you will be comfortable with it later on. Learn you chords! Practice them, running through the progressions, over and over so you can easily switch between them without a stuggle. I recommend a basic learning book that is spriral bound, so that you can prop it up on a stand or against something in easy reach to turn the pages, and those pages will stay in place. Take advantage of the free lessons I have posted on this page, they are immensely helpful. If you are playing along with a video, try doing it standing up, and eventually your body will begin to feel the music more, so that it's not just a thinking excercise, but so you begin to relax and feel the music as well. Watching video lessons is very helpful, and there are tons of them on the internet.